Earlier this week, during his third day of testimony in federal court, David Wildstein, the government’s star witness in the Bridgegate trial, claimed that not only was Governor Chris Christie aware of the “traffic problems in Fort Lee” in September 2013, but that he laughed when told about it—at Ground Zero, ahead of a memorial service commemorating the 12th anniversary of 9/11. 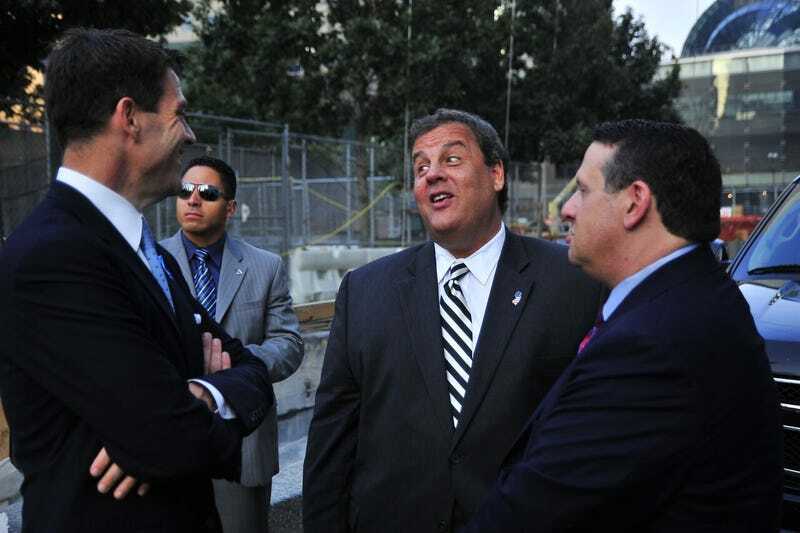 On Tuesday, federal prosecutors showed jurors a series of photographs of Christie, Wildstein, and defendant Bill Baroni yucking it up at Ground Zero on the third day of the George Washington Bridge lane closures. According to the New York Post, Wildstein—the state’s number 2 man at the Port Authority and a Christie appointee—testified that he and Baroni, the head of the agency, “bragged” to Christie about “the tremendous amount of traffic” they had created to punish Fort Lee’s mayor for failing to endorse the governor’s re-election bid. “Baroni said to Gov. Christie, ‘There’s a tremendous amount of traffic in Fort Lee this morning,’” Wildstein testified on Tuesday. (Baroni apparently used “a sarcastic tone.”) “You will be pleased to know that Mayor Sokolich is very frustrated because he can’t get his telephone calls returned,” he added, according to Wildstein. Christie has not been charged with any wrongdoing.